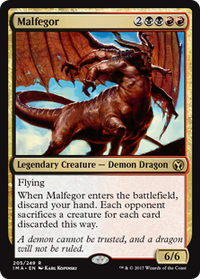 Do instants still apply to destroyed creatures? When exploiting the discard mechanic of your commander don't forget Madness Call to the Netherworld turns that disard into a free recursion to hand effect instead Grave Scrabbler costs you 1B for the same effect but does give you a body for it too. Obsessive Search turns the discard into a draw for one blue. This is a cool subject and angle to work from. My immediate thoughts took a direction with Call to the Netherworld / Grave Scrabbler (maybe Unearth ) for extra value and Foul-Tongue Shriek / Gruesome Fate for a 'get-around' in a tight spot. Time to get brewing I think! 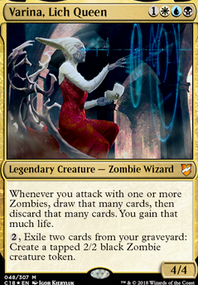 If you're planning on going heavy on non-vampires, but want to turn them into vampires for synergies, consider running Conspiracy. Since you're going to be discarding cards, consider a couple cards with Madness. 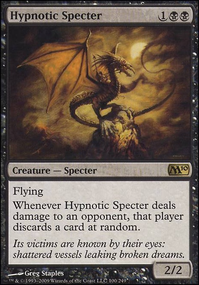 Call to the Netherworld seems particularly solid, as it will hit a large number of your creatures and can be easily cast even if you are not using its Madness cost. Otherwise, I'd stack your deck full of the numerous vampire lords that exist. Vampire Nocturnus is a pretty strong card, depending on how much Red you have in your deck. Bloodline Keeper Flip creates tokens that also get haste and +1/+1 counters. 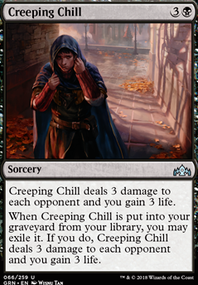 Red/Black has some great removal, such as Terminate, Dreadbore, and any of the black kill spells (Fatal Push, Doom Blade, Victim of Night, Go for the Throat, Murder, etc.). 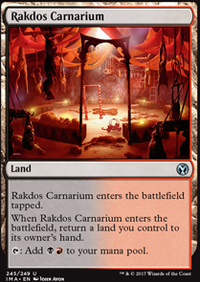 Rakdos Charm is targeted removal for artifacts and graveyard decks. Vanquisher's Banner is a pretty solid card, granting both a tribal bonus and card draw. I really like Vengevine in Hollow One decks, probably as a replacement for Call to the Netherworld and Tombstalker. What do you think about: Call to the Netherworld ? You can take advantage of Varina's discarding ability with cards like Archfiend of Ifnir, Big Game Hunter, Dark Withering, Call to the Netherworld, Grave Scrabbler, and From Under the Floorboards.